Like a needle in the groove, if you 'dig what you hear' then don't forget to leave a comment. 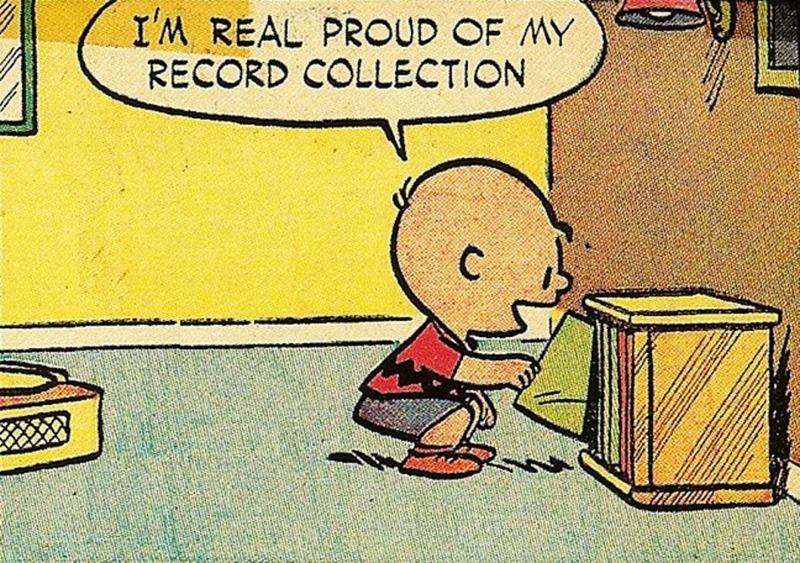 If it wasn't released on Vinyl or as a bootleg / soundboard recording - then you won't find it here. If you believe that any postings breach copyright laws then please leave a comment and I will remove the posting. 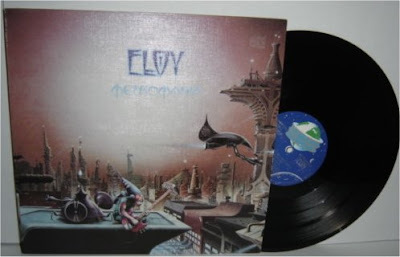 Eloy is my favourite German progressive rock band whose musical style includes symphonic and space rock, the latter theme being more prevalent on earlier albums. Despite their nationality and time period, the band is not generally considered Krautrock because of their sound, which has much more in common with English progressive rock groups such as Pink Floyd, King Crimson and Yes. "One of the most popular German bands of the '70s, Eloy went through several stages in their long career, with the only constant member being guitarist/vocalist Frank Bornemann. Transforming from a political-themed hard rock band to a spacey progressive rock band who sounded something like a mix of Jethro Tull and Pink Floyd, the group in later formations would move toward a more accessible hard rock sound with strong progressive elements. 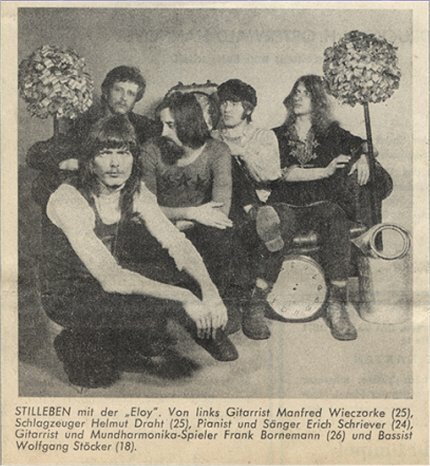 Eloy (see right) was formed in 1969 by Frank Bornemann (guitar, harmonica, percussion), Erich Schriever (lead vocals, keyboards), Manfred Wieczorke (guitar, bass, vocals), Helmuth Draht (drums), and Wolfgang Stöcker (bass). Taking their name from that of a human race in the book Time Machine by H.G. Wells, the band released their first single, "Daybreak," in 1970 and put out their eponymous debut album the following year. Filled with conventional hard rock and political statements, the album is an anomaly in the band's catalogue. Schriever, who was responsible for the band's political lyrics, left the group after Eloy's debut, as did Draht, who was replaced by Fritz Randow. 'Inside', released in 1973, consolidated the group as a full-on progressive rock-styled outfit. After the album, which fared decently, Stöcker left the band, to be replaced by Luitjen Janssen. 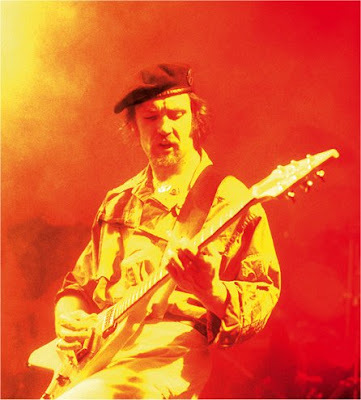 'Floating' (1974) and 'Power and the Passion' increased Eloy's reputation and success, and the latter record was recorded with second guitarist Detley Schwaar. It was also the group's first concept album. 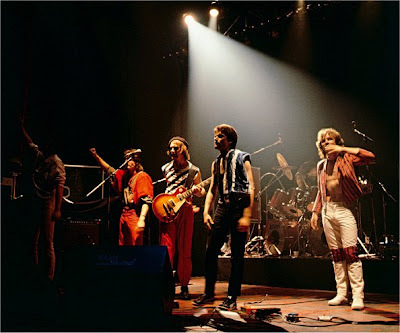 The band then broke up in 1975, with some members of the group wanting to continue to write spacey progressive rock concept albums, while others wanted a more restrained approach. 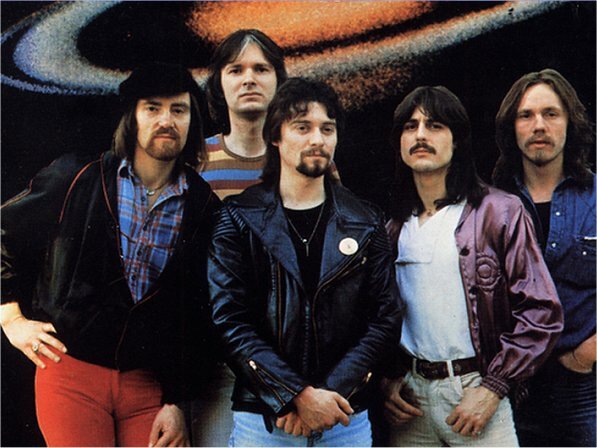 Eloy resurfaced in 1976 with Bornemann as the producer and mastermind behind the band, who featured new members Klaus-Peter Matziol (bass, vocals), Detlev Schmidtchhen (keyboards, vocals), and Jürgen Rosenthal (drums, vocals). 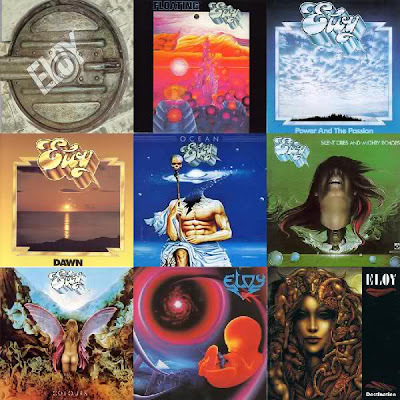 With this lineup, Eloy became the best-selling German act of their time, with increasingly ornate concept albums such as 'Dawn' (1976) and the spacey 'Ocean'. 1978 saw the release of Eloy 'Live' and 1979's 'Silent Cries and Mighty Echoes' was the band's highest-selling record. Schmidtchhen and Rosenthal then left the group to go solo and were replaced by Hannes Folberth and Jim McGillveray, respectively. Eloy also added guitarist Hannes Arkona. 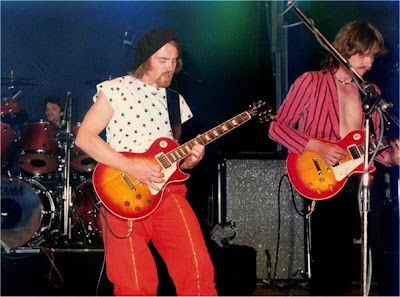 The new lineup released 'Colours' in 1980, which saw the band start to abandon their spacey elements and return back to a more hard rock sound. 1981's 'Planets' and 1982's 'Time to Turn' were two parts of a science-fiction concept album that found the group's sound increasingly dominated by keyboards. In 1984, the band rethought old virtues, and returned to atmospheric sounds, coupled with pulsating rhythms, heavy riffing and gripping compositions. Their new album was called 'Metromania'. Yet this new common ground was not enough and the tensions within the band did not die down. While Frank Bornemann exhausted himself putting the finishing touches to the production of the album, the other musicians turned to the film project 'Codename: Wildgeese'. 'Metromania' was well received by the fans and earned the band an invitation to England from the BBC. 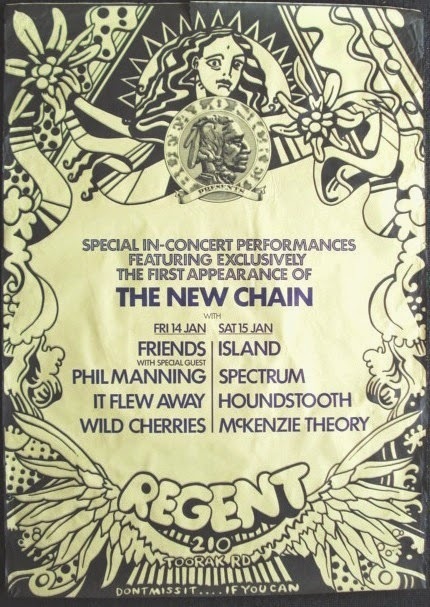 Two concerts at the legendary Marquee Club in London were sold out and recorded by the BBC. They found an excellent response with both the media and the public and this opened up an opportunity to continue establishing Eloy in England. Eloy had a chance to make it in England, but instead of gaining strength and motivation from their successful performances, they broke up. Exhausted and burdened with the constant debate surrounding artistic positions, they failed to find common ground. Everything that had once characterised Eloy - the spirit, the magic, the charisma and enthusiasm - had disappeared. So they agreed to separate. 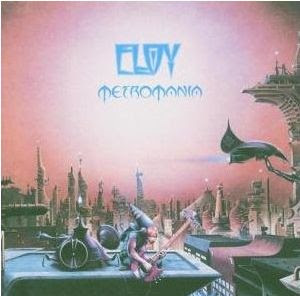 Eloy returned in 1988, this time as a duo featuring Bornemann and multi-instrumentalist Michael Gerlach. The first Eloy record with this lineup was 'Ra', which saw a return to the sound of 'Colours'. It was followed by 'Destination' (1992). Both records did quite well on the German charts. Several members of Eloy re-formed in 1993 to re-record older tracks for 'Chronicles I', followed closely by 'Chronicles II' in the next year. In 1994, the band recorded 'The Tides Return Forever', which featured the return of Klaus-Peter Matziol. 1998 saw the trio release 'Ocean 2: The Answer' with new drummer Bodo Schopf, just before they broke up for a second time. In August 2009, it was announced that Eloy would be reforming for a new album. "The strong feedback from all parts of the world, which has been around for many years, eventually reached the musicians themselves. And so Frank Bornemann, lead singer, guitarist and producer of Eloy, has brought the band together again for a 40th anniversary reunion. After a break of eleven years, they launched a new album with the title 'Visionary' aiming to recapture the spirit of the early years. The 'Legacy Box' double DVD was released in December 2010 and contains numerous videos and TV recordings from all the band's periods, as well as a comprehensive documentary of the band's history with interviews, a photo gallery and many other features. " Frank was born in Hanover in April 1945. He began playing music in the early 60s and in the mid-60s founded his first band, which covered famous songs. In 1969 he founded Eloy, named after the Eloi people from H.G. Wells' novel 'The Time Machine'. For the first, eponymous album, Eloy Frank still limited himself to composing and playing the guitar. After the departure of vocalist Erich Schriever in 1972, Frank took over as lead singer as well and became the front man of the band. Frank Bornemann is the head and producer of ELOY, and the only musician to have been with the band since 1969. Since the 70s, he has also worked as a producer for other bands, such as the Scorpions (Fly To The Rainbow, 1974). Frank Bornemann is still working in the music business today. Horus-Sound-Studio, which he obtained in 1979, is one of the best and most successful recording studios in Germany. It is now under new management. Furthermore, he founded a music publishing group and the label Artist Station. Frank has made it his task in life to actively support young bands and artists. Among others, he has helped the Guano Apes to success. He is currently working on new songs for Eloy's next album. similar, as far as I can tell. Ok, the songs on 'Performance' were a little too light and had a couple of more popish tracks on it. 'Metromania' on the other hand conceded to the market bringing in some 'modern' elements that were in fashion (electronic drums and synth timbres) plus a much heavier guitar sounds. But the songwriting and the performa nces on both records are pretty much the same: brilliant playing and great songs. So why all the fuss?? Well, one has to face the fact that those two records were coming on the heels of some of their best work ever ('Planets' and 'Time To Turn', released on 1981 and 82, respectively). Compared to those two LP's it's easy to see why so many fans and critics were disappointed. more radio friendly or 'up to date' was immense. After all, they all had to make a living. Still, they were able to at least release some decent material under those circumstances. When I hear 'Metromania' nowadays it sounds a little dated because of the syndrums and general synthesizer sounds. But, like its previous effort, this is far from bad or weak. The band was in fine form and deliver a good set of songs plus a stunning interpretation of the material. I've always loved some of the tunes here like the powerful "Follow the Light", "Seeds of Creation", "Scape To The Heights" and the title track. Like all their releases after 'Inside', there is not one crap song to be found. The production again is very good. It is a pity that this would be the last album with this line up and the the last one under Eloy's banner for a decade or more. of all the time and are one of the best bands to come out of Germany. They produced fine records, even in their lowest moments and I highly recommend this album. Well one thing..The greatest Progrock Band.. i`ve been listening to eloy since 1972..
You got it right my friend.. If you don`t like eloy for the vocals just listen to the incredible musicianship throughout their craeer..
more people should be given the chance to hear them..